The Toyota Land Cruiser in its various incarnations is a lust worthy thing. 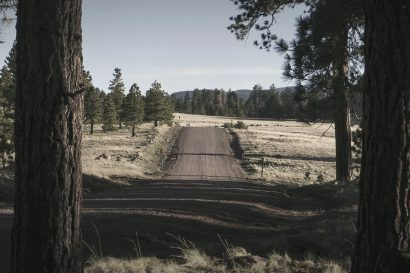 Rugged and storied, these vehicles have conquered backroads on every major continent. Just sitting still they evoke a sense of adventure and beg to be loaded with a month’s supplies. One of the more prized variants of the Land Cruiser is the FJ45 Troopy. The extended frame and added cargo capacity make these trucks perfect for protracted journeys. For many Troopy owners, the stock layout is ripe for heavy modifications designed to maximize creature comforts. How about adding a Westfalia inspired poptop camper? 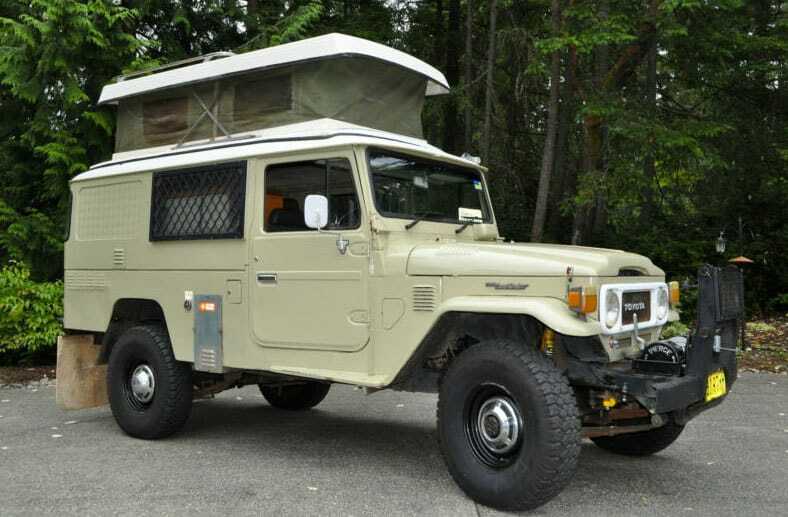 Located in Gig Harbor, Washington is this rare 1982 Toyota FJ45 Troopy camper. The owner overlooked no detail in transforming it into a capable, and obviously comfortable, overland vehicle. The 4.2 liter 2F six cylinder engine is paired to a 4-speed transmission with low crawl ratio gearing. This Cruiser is teaming with essential accessories like the 12,000 pound winch and onboard compressor. 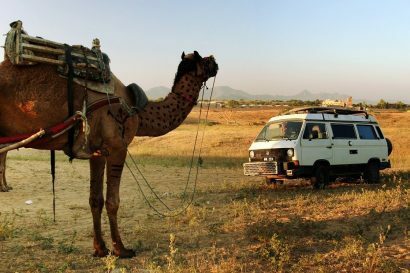 Inside, the Troopy is outfitted with a multitude of thoughtful appointments from a two-burner stove to a plush sleeping area. Most noticeable is the unique Aussie-made poptop camper. A built-in propane compartment and dual water tanks ensure enough stores can be accommodated for long trips, and dual fuel tanks extend the Troopy’s range. All it needs is a destination!